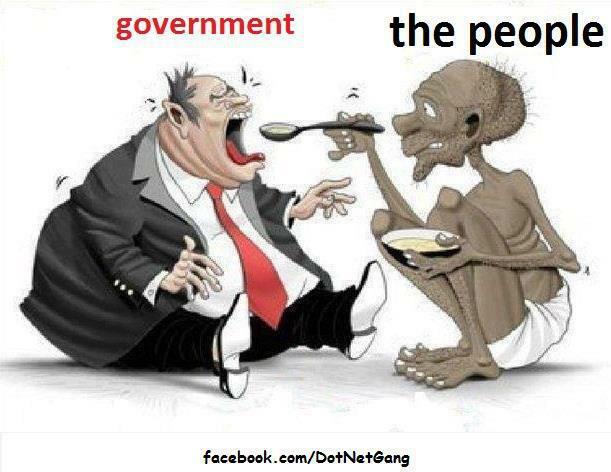 See a cartoon showing how people of India are feeding Indian government. Poor are becoming more poorer and Rich people of government are becoming more rich day by day. What is this happening in India. THANKS HUMUL. for the contribution. Sarkaar logon ko khaa gayi hain.